Faded Glory Men's Casual Boat Shoe Now Only $7! You are here: Home / Great Deals / Faded Glory Men’s Casual Boat Shoe Now Only $7! Faded Glory Men’s Casual Boat Shoe Now Only $7! 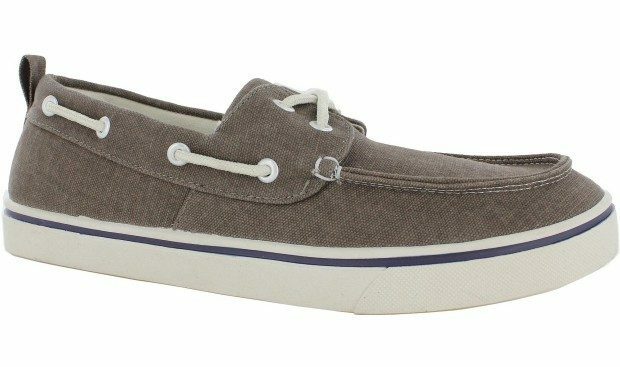 Order these Faded Glory Men’s Casual Boat Shoe Now Only $7! Ideal for an easy, casual look. This men’s boat shoe features a lightweight canvas construction with sturdy nylon laces. It has a khaki color that will complement a variety of outfits. The Faded Glory boat shoe offers both versatile style and solid durability.